The first real pointer of the season, which will make the Queen Mother Champion chase picture all that clearer. This Grade one has been run each year since 1979, and has been won by a number of champions, with the likes of Master Minded, Sprinter Sacre and more recently Un de Sceaux taking home the prized trophy. This year’s edition looks to be a similar story, with hotpot Altior set to contest the race. Here we cover the leading contenders. Altior is an undisputed favourite for the race, with Betfair currently offering a price of around 8/13 at the time of writing. This is no surprise, and actually looks a very generous price – which could be taken advantage of with the excellent £100 sign up-bonus offered on Betfair.com via SportyTrader. 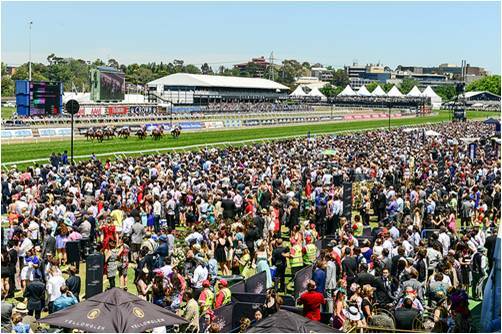 Their reputation as one of the industry’s leading operators continues to rise, with many punters opting to bet with them on this race already. The Nicky Henderson trained eight-year-old is the current leading light of national hunt racing, as all roads lead to defending his crown in the Queen Mother Chase, come the Cheltenham festival. Altior has won 15 of his 17 starts under rules, winning his last 14 races in succession on an unbeaten run that dates back to April 2015. Altior at present looks virtually unbeatable, and if the horse turns up in similar form to what we have seen in recent years then the rest are likely playing for places. Another horse to note is the Alan King trained six year, Sceau Royal. The horse has always been held in the highest regard by connections, and has won 11 of his 22 starts under rules. He travels very strongly through his races but has on occasions been ran out of it in the finish. However, he returned recently from a near 300-day break with a very gutsy display in beating the ever reliable Simply Ned by a little over two lengths in the Shloer Chase at Cheltenham. He is likely going to run his race but it would be a major shock were he able to turn over Altior, with Betfair making him the current 4/1 second favourite. If any horse is going to give Altior a race it could just be Saint Calvados. The five-year-old is trained by Harry Whittington, so has always flown a little under the radar. The fact he was sent off at odds of just 11/4 to win last season’s Arkle, shows he is a top operator. He ran no race there but has returned this season with a dominant display in beating his previous conqueror in Footpad. His aggressive style of racing means he will put pressure on Altior from the get go and if the ground comes up soft, this is only going to further bolster his chances of causing an upset. He is currently 5/1 to do so.